Chiropractic focuses on treating the cause of the injury. Often times, the spinal column is responsible for the pain and other symptoms that accompany an injury. The spinal column is a series of small bones that connect to each other through joints, ligaments, discs, and muscles. Due to sitting 10 hours per day, poor posture, walking on concrete, and athletics, the bones in the spine may become misaligned causing the joints to be worn unevenly or incorrectly. 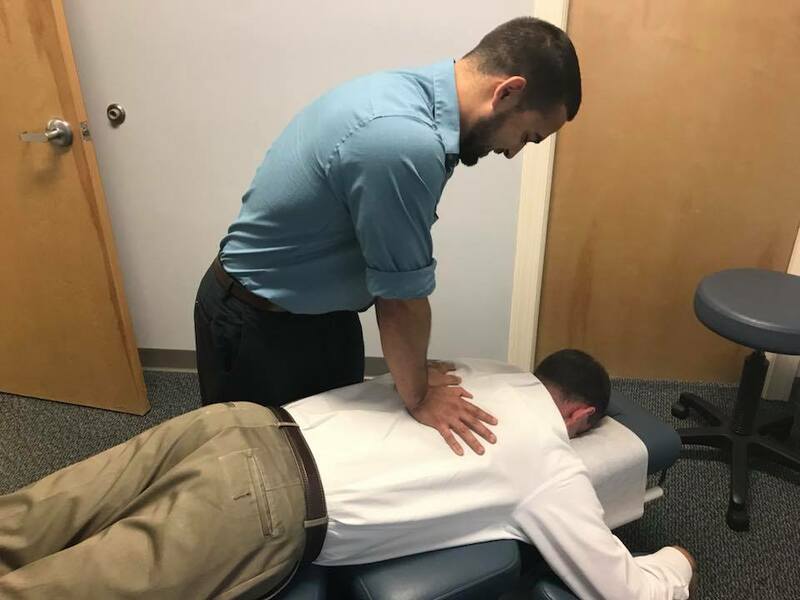 The chiropractor will identify these altered functioning joints and misplaced bones and use gentle thrusts to restore the natural motion of the joint. Restoring the motion of the joint will alleviate local inflammation and protective muscle spasms in the area. As the inflammation subsides and muscles return to their normal tone, the pain disappears and you will begin to feel like yourself again. Spinal Adjustments are a painless, safe, and effective approach to treating numerous musculoskeletal injuries. If you truly want to correct the problem instead of just masking the symptoms with medication, call today for an appointment!